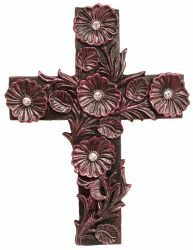 Montana West ® 14" x 10" Engraved floral cross with crystal rhinstones. 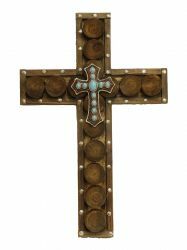 Montana West ® 20" x 13" Wood cross with turquoise stones in center. 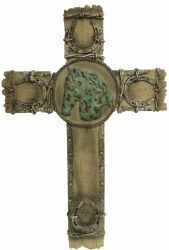 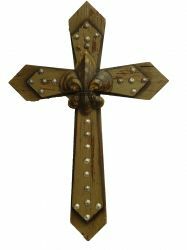 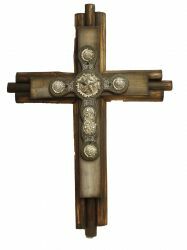 Montana West ® 26" x 19" wood cross with engraved silver accented conchos. 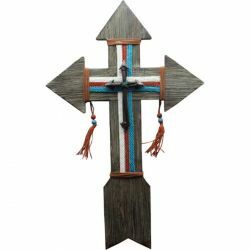 Montana West ® 24" x 16" Wood cross with turquoise stones in center. 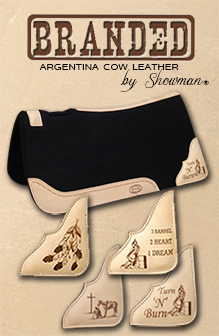 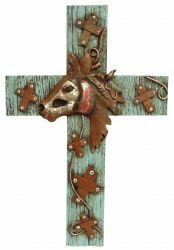 Montana West ® 21" x 12" burlap texture cross with barbed wire trim and horse in center. 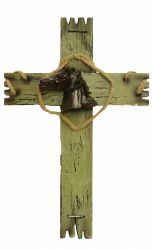 Montana West ® 19" x 12" Wood cross with horse and rope accents. 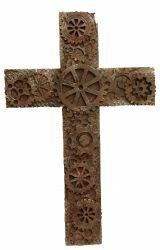 Montana West ® 15" X 10" Industrial cross with cogs and gears. 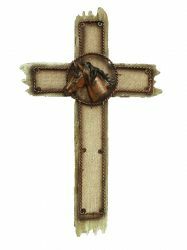 Montana West ® 17" x 11" Faux wood cross with horse head. 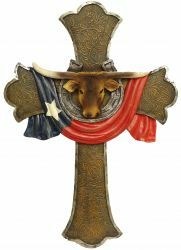 Montana West ® 18" x 13" Texas flag and steer cross. 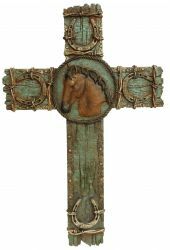 Montana West ® 15.5" x 10.5" Steampunk horse head cross. 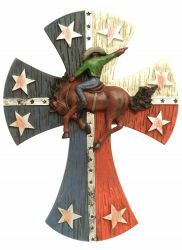 Montana West ® 11.5" x 9" American flag style cross with bronc rider. 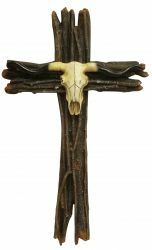 Montana West ® 17" x 9.5" Steer skull wall cross. 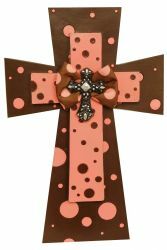 Montana West ® 14" x 9" Brown and pink layered cross with polka dots. 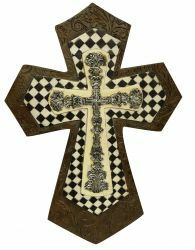 Montana West ® 14" x 9" Black and white checkered layered cross. 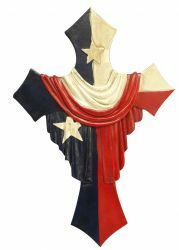 Montana West ® 12" X 8" Draped Texas flag cross.